Upon arrival in Munich transfer to your hotel. Regular city tour (Hop on-Hop off bus). 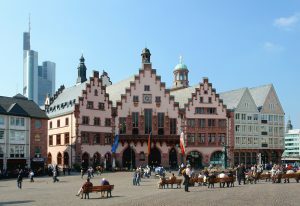 Visit attractions such as the Marienplatz square with the City Hall, the Frauenkirche church and the bustling Viktualienmarkt. This tour takes you to the splendid and opulent castles built by Ludwig II, the king of Bavaria also known as the “Mad King“. Visit the magnificent Castle of Neuschwanstein, the inspiration for Walt Disney’s Sleeping Beauty castle, and lovely Linderhof castle (entrance fees to be paid on spot). Return to Munich in the evening. 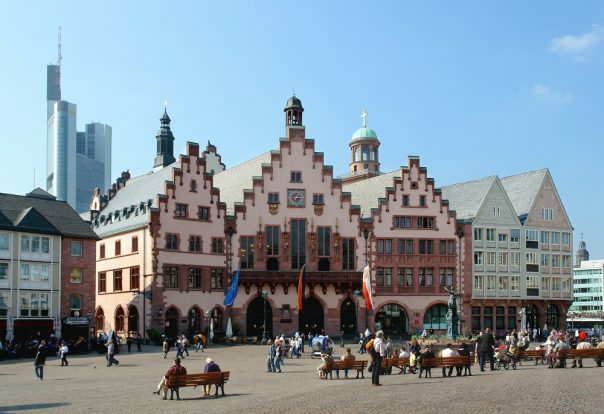 At the appropriate time, transfer to the train station and travel by train to Frankfurt. Upon arrival transfer to the hotel. In the afternoon you enjoy a private city tour (2.5 hrs). Enjoy a walk and visit the beautifully restored Römerberg, the bank of the Main river, the quaint “Fressgass” alley, the old Opera, the elegant Goethestrasse street and the Paulus Church. At the appropriate time transfer to the airport.